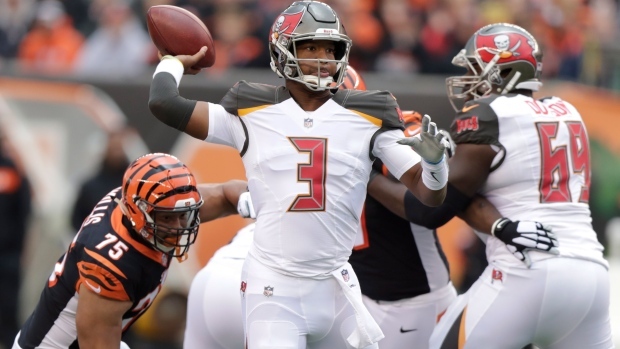 Jameis Winston wants to be the heaviest quarterback in the NFL next season. Currently, the 25-year-old Winston is listed at 6-foot-4 and 231 pounds. The heaviest quarterbacks in the NFL last season were the Carolina Panthers' Cam Newton (6-foot-5 and 245 lbs) and Joe Flacco (6-foot-6 and 245 lbs), now of the Denver Broncos. For his part, Arians seems fine with the plan, as long as the added weight isn't "bad." General manager Jason Licht believes that extra "good" weight will help Winston without slowing down his mobility. "Sitting in the pocket, you’re going to take some hits," Licht said. " [Pittsburgh Steelers QB] Ben Roethlisberger still does and [Retired Arizona Cardinals QB] Carson (Palmer) did. So you want to put some armor on. I still think that he’s going to be mobile. It’s not like he was a 4.4 (in the 40-yard dash) guy to being with. But he’s got his own unique athleticism to shed guys. I think it actually could be helpful in that way." The first overall pick of the 2015 NFL Draft out of FSU, Winston is entering his fifth pro season. In 11 games last season, Winston threw for 2,992 yards on 244-for-378 passing, 19 touchdowns and 14 interceptions.